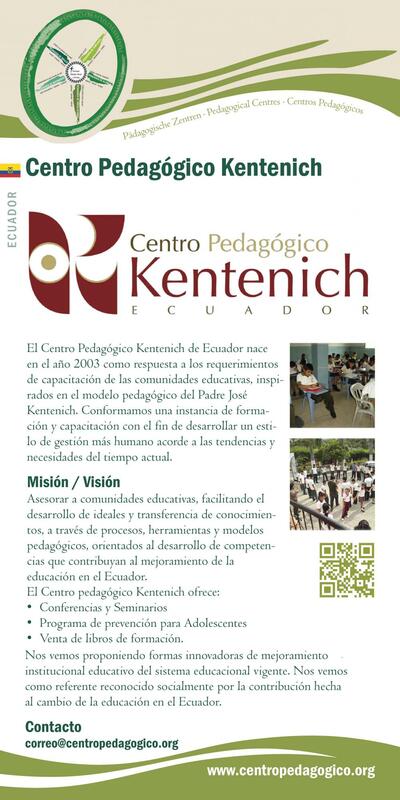 The Kentenich Pedagogical Centre in Ecuador was founded in 2003 as an answer to the need to train educators in a way that is inspired by Fr Kentenich‘s pedagogy. We are a centre for training and education, with the aim of developing a more human style of leadership that takes its bearings from the currents and needs of our present times. We see ourselves as suppliers of innovative ways of improving the existing educational system.